High quality, long lasting, cloth covered felt stamp pads, for most home and office marking needs. Pads are pre-inked and come in a plastic leak resistant case. We stock three sizes and various colors. These pads are designed for use primarily on paper or cardboard. We carry additional pads and inks for marking on other surfaces. We also carry refill ink should you wish to re-ink your existing pads. Always check before re-inking that you are using a compatible ink. 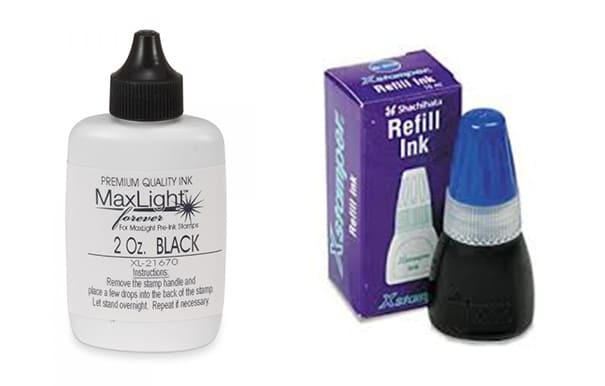 We also carry refill ink for pre-inked stamps, including Xstamper, iStamp and Maxlight. Regular rubber stamp ink is perfect for marking on paper and cardboard but other applications require a special marking ink to get the job done. 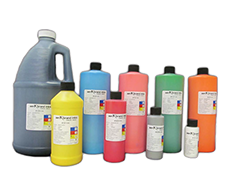 We offer an extensive line of inks to meet almost any need or application. We also offer the extremely versatile MARK II Reversible Stamp Pad System for stamping on many hard to mark surfaces. Click here to view and download Mark II Stamp Pad information. Need help re-inking? Click on the links organized by brand below for instructional videos or printable instructions.